Just read between the lines Jammie. What he said was "God is on our (the dems) side". It's so simple to see even Helen Keller could spot this one. 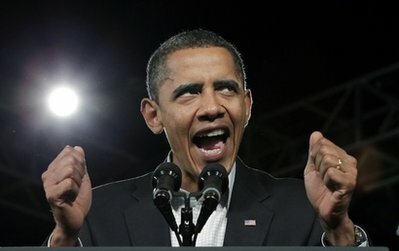 Good Lord I can't wait to see this fool (Ovomit) given his pink slip next year. Josehph Goebbels would be proud of this man and his lies.